If you have been charged with a crime, you need the peace of mind that your Cary criminal defense attorney has what it takes to preserve your freedom. Wiley Nickel is a trusted veteran of the Wake County Courts, with the experience that matters in fighting for the rights of the accused. Mr. Nickel is known for his thorough attention to detail and the skillful defenses he brings to the Courtroom. As he builds and defends a case, Mr. Nickel and his staff proactively work to keep their clients apprised of their rights and options, helping to put their minds at ease during this anxious time. Nobody ever plans on winding up in a courtroom. It can be frightening to find yourself facing criminal charges, and it can be disruptive to your day-to-day life. However, when you work with Cary criminal defense attorney Wiley Nickel, you gain the benefit of an attorney you know will protect your future rights and freedoms. Wiley Nickel earned his Juris Doctorate from Pepperdine University School of Law in 2005. Mr. Nickel has handled thousands of cases: Everything from misdemeanor drug crimes to DWI trials. It’s your criminal defense attorney’s job to put his expertise to work for you, and Mr. Nickel has earned a reputation as an aggressive, skilled and talented attorney. In fact, he has been recognized numerous times as one of the top defense attorneys in Cary. The scope of Mr. Nickel’s practice encompasses all ranges of crimes prosecuted by the State of North Carolina. He is also skilled at defending crimes like embezzlement, felony larceny and felony assault. No matter what your background, circumstances or situation might be, Mr. Nickel and Cary defense attorneys Kristi Haddock and Melissa Botiglione are prepared to defend your case. At the Law Offices of Wiley Nickel, PLLC, you will find a welcoming staff ready to assist you. Our office is located in Cary, NC. You can reach us at 919-585-1486 any time for a free consultation. The answering service will always answer the phone and contact us if time is of the essence for a quick response after hours or on the weekend. Raleigh domestic violence lawyer Wiley Nickel advises and represents people facing criminal charges for domestic violence often described as spousal abuse, spousal battery or domestic dispute, such charges do not always reflect a case between married people but include those living in the same location (cohabitation), or sometimes just engaged in a dating relationship. Such cases can also lead to violation of a domestic violence protective order or DVPO. As a former prosecutor, Raleigh domestic violence attorney Wiley Nickel offers a comprehensive understanding of the criminal justice system. He understands the right steps to take in developing an aggressive defense strategy focused on securing a dismissal or minimizing any potential penalties associated with a conviction. Speak to a Raleigh Domestic Violence Lawyer Today! For a free initial consultation about your legal options for resolving a misdemeanor or felony domestic violence assault charge, contact Attorney Wiley Nickel in Cary today. Contact us online or call 919-585-1486 for your free case evaluation with our Raleigh domestic violence attorneys. Our ability to connect you with the programs and services that are right for your circumstances can give you an extra layer of legal protection. At the same time, we work hard to help you get the most out of the presumption of innocence that stands between you and a conviction. If you are looking for Domestic Violence Attorneys in Raleigh please Click Here. We also keep in mind the additional risks that licensed professionals, immigrants and university students might face when they’re charged with domestic violence offenses in North Carolina. We handle Domestic Violence and Assault cases in Wake County North Carolina. To learn more about our ability to protect your interests, contact the Law Offices of Wiley Nickel, PLLC in Cary; Contact us online or call 919-585-1486 for a free consultation today. At The Law Offices of Wiley Nickel, PLLC, our criminal defense lawyers realize that dealing with a DWI is frightening and extremely stressful, but you don’t need to go through it alone. Our DWI attorneys have assisted countless individuals when DWI charges put their futures at risk. We know what it takes to fight back and to win. “Raise the Age” finally goes into effect next December! North Carolina law will finally treat 16 and 17 year olds as juveniles for criminal purposes on December 1, 2019. We are currently the ONLY state in the country to treat 16 and 17 year olds as adults for criminal purposes. As a result, most 16 and 17-year-olds will be prosecuted in juvenile court beginning December 1, 2019. There are, however, some exceptions. Here’s what you should know about these big new Raise the Age changes to our law. A “delinquent juvenile,” as defined by G.S. 7B-1501(7), will include 16 and 17-year-olds who commit crimes or infractions but that excludes violations of the motor vehicle laws. Some 16 and 17-year-olds will continue to be prosecuted in adult court for traffic offenses. Also, once a juvenile has been convicted of any offense in either district or superior court, including a violation of the motor vehicle laws, the juvenile will be prosecuted as an adult for all of his/her later offenses. So any 16 and 17 year olds who already have an adult conviction when “Raise the Age” becomes law in December 2019 will not be included. Minor traffic tickets should not qualify but the law is currently unclear on this. I expect the law to be amended to make that clear by December 2019. The juvenile court’s jurisdiction will continue until age 19 for offenses committed by 16-year-olds, and to age 20 for offenses committed by 17-year-olds. This is a very important change to our law. Now 16 and 17 year olds will join those in all other 49 states and have any minor charges dealt with outside of the view of the public in juvenile court. This will help teenagers avoid a public record for committing a small misdemeanor charge. In terms of college applications it will help juveniles become more competitive with other states where there are no public records for juvenile offenses. If you are 14, 15, 16 or 17 and are charged with an adult crime or a juvenile crime contact us today. We handle juvenile cases as well as adult cases. When the law changes we will defend juveniles in the juvenile court system for any cases with 16 and 17 year olds charged with a crime. 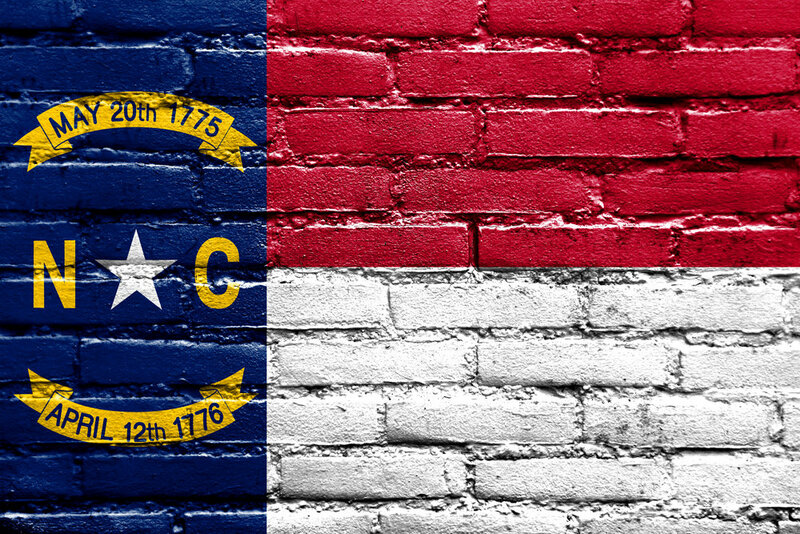 We are also hopeful that North Carolina prosecutors will take the coming change of law into effect when dealing with current cases for 16 and 17 year old juveniles between now and December 1, 2019. If you are 16 or 17 and are charged with a crime contact The Law Offices of Wiley Nickel for a free consultation at 919-585-1486. How Many Expungements Can You Get in North Carolina? If your license was revoked for impaired driving and this is the first time your license has been restored your license is restored subject to the condition that you not operate a vehicle with a blood alcohol concentration (BAC) of 0.04 at any time after driving. If your license was revoked for DWI under 21, your license is restored subject to the condition that you not operate a vehicle with a blood alcohol concentration of 0.00 at any time after driving. As part of getting your license back you must agree to submit to a chemical analysis (breath, blood or urine test) at the request of a law enforcement officer who has reasonable grounds to believe that you are operating a motor vehicle in violation of your license restrictions. You must also agree to be transported by the law enforcement officer upon his/her request to the place where a chemical analysis can be administered. Unfortunately the law says that driving is a privilege, not a right so they can do this sort of stuff post-DWI conviction. If you drive in violation of license restriction that is the equivalent of operating a motor vehicle without a license. So if you blow above the 0.04 (or 0.00 depending on your respective driving conditions) you commit the offense of failure to comply with a license restriction which is a Class 3 criminal misdemeanor in North Carolina. The police must complete an affidavit indicating the restriction was violated and then mail the affidavit to DMV. Upon receipt of a properly executed affidavit the NC DMV must notify you that your driver’s license is revoked for one year. You had an alcohol concentration of 0.15 or more. You were sentenced to an Aggravated Level One DWI. You may operate only a vehicle that is equipped with ignition interlock. You must personally activate the ignition interlock system before driving the motor vehicle. So obviously someone else can’t blow into the ignition interlock for you. You have an alcohol concentration restriction of 0.04 or 0.00 depending on the facts of your case. If you violate an ignition interlock restriction you commit the offense of driving while license revoked for impaired driving (DWLR). This is a Class 1 Misdemeanor in North Carolina. If a magistrate finds probable cause for driving while license revoked based on an ignition interlock violation, the magistrate must notify you that your license is suspended pending the resolution of the case and must require you to surrender you license. The magistrate must also inform you that you are not entitled to drive until the case is resolved. If you violated a BAC condition or an ignition interlock condition as part of your post-DWI driving privilege please contact The Law Offices of Wiley Nickel for a free consultation. Raleigh DWI Lawyer Wiley Nickel handles DWI cases and DMV issues in the Wake County, North Carolina area. Our office is located in Cary, NC and our office number is 919-585-1486. Can I Be Charged With a DWI If I Haven’t Been Drinking? According to Shea Denning of the UNC School of Government, an impairing substance can be alcohol or a controlled substances, including illegal and legal drugs. Essentially, any drug that impairs one’s ability to drive can be considered an impairing substance. These substances may not necessarily register on a breathalyzer, but North Carolina officers can still arrest you if they suspect that you are under the influence of an impairing substance. Instead of requiring a breath sample, the officer may request a blood sample. If you refuse to give one, the officer may apply for a warrant to take blood. In some situations, blood may even be taken without a warrant if the officer can prove exigent circumstances existed. If you have been charged with a DWI in Wake County, contact The Law Offices of Wiley Nickel in Cary, NC, for a free consultation. Our office is conveniently located off of the Harrison Ave. exit of I-40 on Weston Parkway. We serve all areas of Wake County, including Raleigh, Cary, Apex, and Wake Forest. Call us at (919) 585-1486 for more information about how we can help you with your DWI case. Raleigh Criminal Defense Lawyer Wiley Nickel. The Law Offices of Wiley Nickel, PLLC. Located in Cary, NC. At The Law Offices of Wiley Nickel, the experienced team knows that you are looking for passionate and aggressive legal advocacy to fight your Wake County assault charges. Attorney Wiley Nickel has earned a reputation for his personalized and effective approach to building defense cases. He aims to develop strategies that portray his clients in the best possible light while effectively protecting their rights and fighting for their futures. Attorney Nickel has become an established and trusted advocate for the accused in Raleigh. He has acquired comprehensive knowledge of criminal law as well as an ability to negotiate positive outcomes before a trial even begins. With his representation, you can face your assault charges with confidence. Call (919)585-1486 for a free consultation. If it is after hours you can leave a message that will be sent to one of our lawyers by email. At The Law Offices of Wiley Nickel, our attorney's goals are to be accessible, open, and honest. They understands that the best way to defend your case is to build trust and to explore all of your options. When you bring your case to this firm, we will take the time to fully understand your charges and investigate the situation so that we can take the right steps to protect your freedom. The legal team is solely focused on providing counsel for matters of criminal law. Attorney Wiley Nickel and Attorney Kristi Haddock put all of their resources, skills, and knowledge to work in defending your case. They places the highest value on providing personalized representation, as well as ensuring that our clients feel confident and comfortable throughout the process. You can trust your assault case to the effective and dedicated attorney The Law Offices of Wiley Nickel. Our office is located in Cary, NC and we handle criminal defense matters for Wake County. Please call us at 919-585-1486 for a free consultation or message Attorney Nickel directly at wiley@wileynickel.com.